and stretch above the fingerboard, to be played by the violinist. f-hole on each side of the belly. 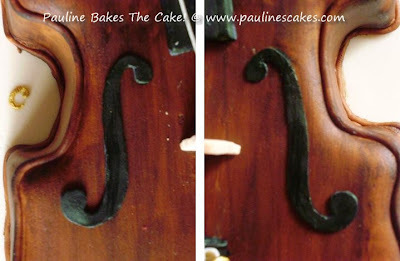 The neck and head of the violin, ending with the peg box and the scroll. The neck is decorated with sugar orchids. 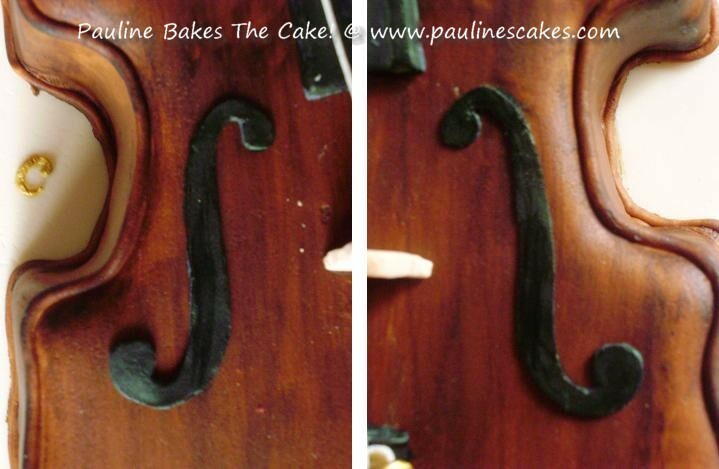 Oh yes... everything on the cake is edible... including the strings! OMG :-O What a beaty. Amazing details. It's wonderful!! Every single detail of this cake is superbly done! don't mind if I ask you how much is the price..?? if it is reasonable I want to make it as my cousin birthday cake.. Please send me an email, Amirah. Thanks! how do u make the strings?